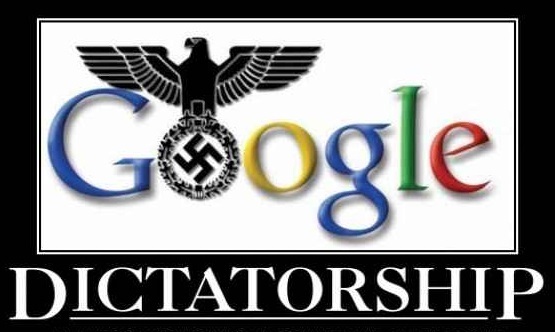 (Natural News) The hostile takeover of much of the web by tech giant Google has many people uneasy about the future of online free speech, especially as Google has increasingly engaged in rogue censorship tactics against independent media outlets that threaten the status quo. But the good news is that there are viable alternatives out there, at least as far as online apps and software are concerned. One of these alternatives is Framasoft, a robust educational network created back in 2001 that promotes the enrichment of humanity by procuring it with free software. We’re talking vast libraries of books, videos, and music, as well as translators, organizers, and collaboration tools – all made available for free, and all without the “Big Brother” invasiveness that characterizes Google these days. Framasoft describes itself as a global network of free software and services compiled by a community of volunteers in support of the public interest. This is a far cry from the authoritarian interests of free speech-crushing Google, which has proven itself to be biased and agenda-driven, most recently with its refusal to recognize Resurrection Sunday, also known as Easter, which is perhaps the most widely-celebrated Christian holiday. Unlike Google, Framasoft has no agenda other than to build a world of “sharing and cooperation,” as it puts it. Many of the software programs and services that Framasoft provides on its platform are equal to, or even better than, their Google counterparts. And with Framasoft, your internet usage habits won’t be tracked and used against you to enrich a Silicon Valley monolith that wants nothing more than to completely control the flow and availability of information online. There’s no single owner of Framasoft, as the community is a “joyful mess” of anyone and everyone who contributes to its wealth of online resources. The site is completely open-source, and is centered around a model of non-profit voluntary association, meaning that pretty much anyone can contribute in order to bolster the overall good of the community. Whether you’re skilled in testing out new programs or developing them, there’s a place for you at Framasoft. Volunteers are encouraged to help moderate and administrate the platform’s offerings, as well as promote what’s available there to others. But most importantly of all, Framasoft is about free speech, something that’s become completely foreign to the Google platform. Framasoft’s definition of “free software” is also comprehensive, outlining not only free use of various online apps, but also the opportunity to study, modify, and even copy them for further distribution. These four liberties, the site explains, help to promote transparency, trust, exchange, sharing, and collaboration throughout the larger community that comprises Framasoft. There are currently more than 1,600 software programs offered by Framasoft, all of which have been tested and rated by its network of users. Included with these programs are comprehensive tutorials and other information relevant to their use. If you’re familiar with and use Google programs like Docs and Sheets, for instance, you’ll be pleased to know that Framasoft offers alternatives to all of these and more. No longer do you have to be chained to the Google control grid, thanks to the dedicated work of Framasoft volunteers all over the world. Beyond this, Framasoft also offers what it refers to as “free culture,” or libraries of software programs and apps that focus on the arts, education, science, hardware, and more. These libraries rival what’s offered by sites like Wikipedia, for instance, which represents another highly controlled and censored page where free speech simply isn’t tolerated. To learn more, visit Framasoft.org.